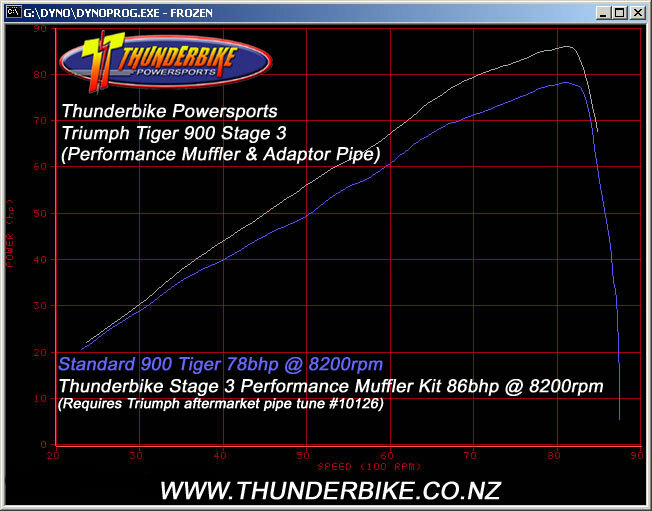 This replaces the existing collector box/catalyst on the 900 Tiger. 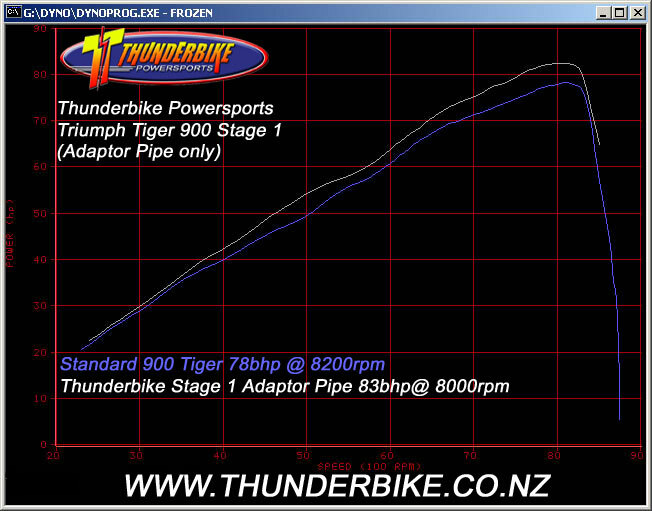 Fitting this adaptor pipe alone will give an increase in power, which improves the 900 Tiger output to a level higher than a standard 955i. 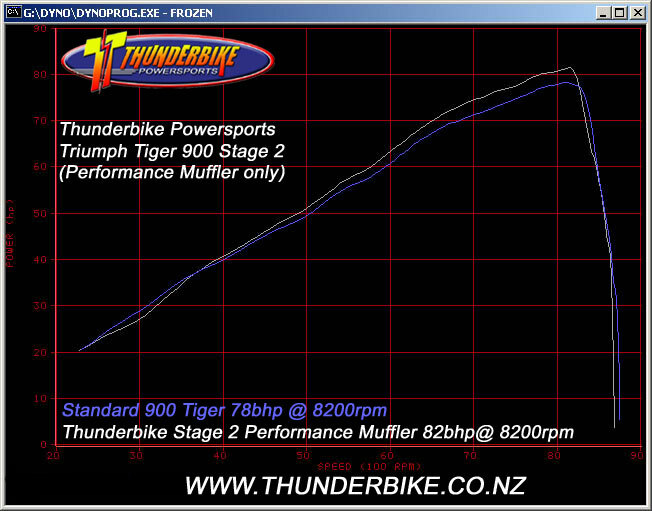 Factory exhaust note remains virtually unchanged. 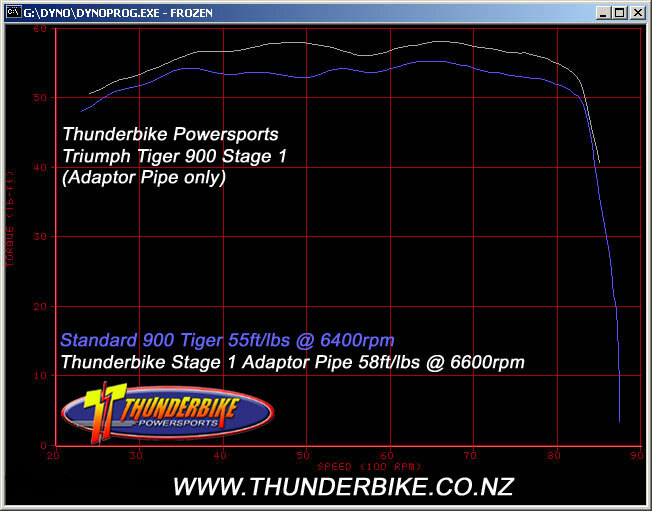 See dyno chart for results. 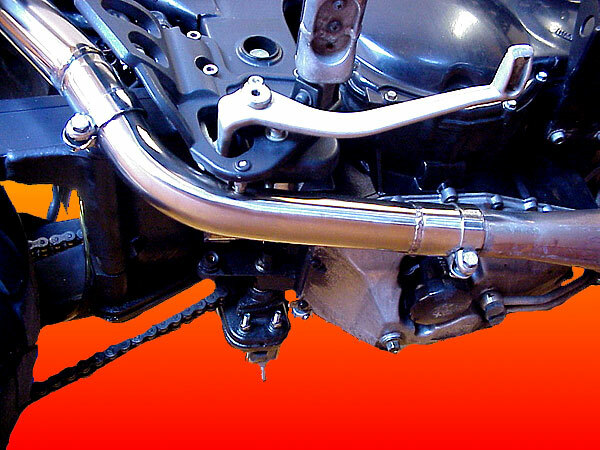 This is a bolt on replacement muffler which works best with the factory standard pipe tune. 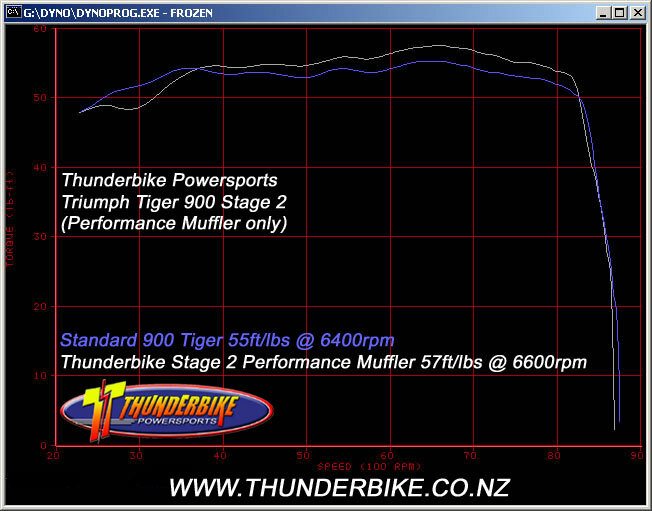 A noticeable power increase of 4bhp and torque improvement can be expected at the rear wheel. 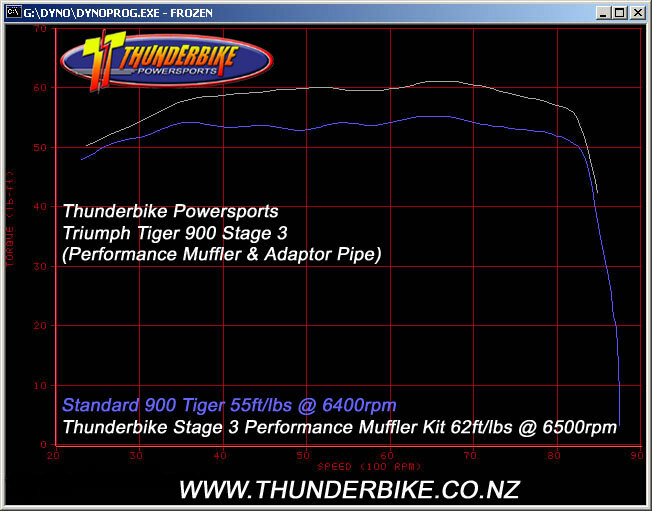 The distinct Triumph Triple 3 into 1 exhaust note will accompany the performance improvement. This kit gives the maximum performance benefit. 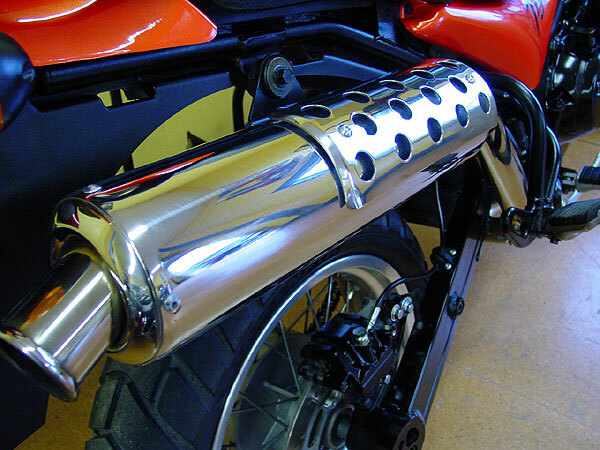 Fitting the Performance Muffler and replacing the collector/catalyst with our adaptor pipe will increase power to 86bhp at the rear wheel with a noticable increase in torque throughout the rev range. The sound is also increased giving a satisfying 3 into 1 growl-to-howl (depending on operator technique!!!) to compliment your new increased performance.